Oceanfront condo on the top floor with fantastic views from this end unit. Watch the waves crash in the cove, enjoy sunsets from your balcony or watch the boats go by. Easy living in this gated community. Two Bedrooms with two bathrooms, kitchen has eat bar and plenty of cabinets. Vaulted ceilings for an open feel and did we mention the ocean view? 1 car detached garage. 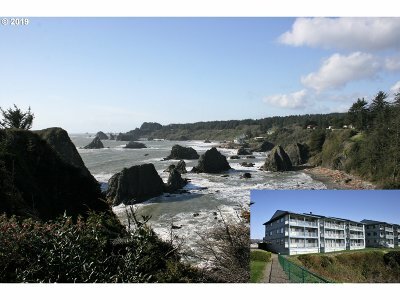 Come see one of the best view on the Pacific North West!